Know what you’re dealing with. If your loved one has dementia or any associated condition, understanding the big picture and the unique challenges of the situation can help family members know what needs to be accomplished. Establish basic goals and ground rules. Discuss the care that you see for your loved one and determine how much professional care you can afford. How will you divide the care giving responsibilities and what is the backup plan if someone is unable to fulfill their role? Assign a point person for coordinating daily care and decision making. 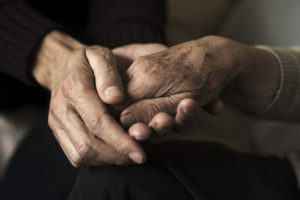 This can be a family member but sometimes, a third-party aging-life-care professional is helpful to navigate differences of opinion in how the care should be provided and assist families that have little time and ability to provide care. Be proactive. There is no time like the present to begin preparing for your aging loved one’s financial future. This can help minimize stress and uncertainty in the future for all involved. Compile a list of financial professionals and care givers. List the contact information for doctors, dentists, lawyers, tax preparers, financial advisors, insurance professionals and anyone else who assists your loved one. Distribute the list to all family members that are involved with the care. Understand your loved one’s current cash flow needs and what they may be in the future. Take a close look at your parent’s income and expenses to make sure you know how they are funding their lifestyle and whether it is sustainable. Make sure your loved one’s tax returns are up to date. Take an inventory of your loved one’s finances. A quick online search of “Financial Document Checklist” will provide you with a list of all documents that may be relevant for you. Ensure that your loved one’s estate planning is in place and in order. Especially important are Powers of Attorney and Advance Directives for Health Care. Insurance. Determine if life insurance policies are in-force and confirm any required ongoing premiums. Review health and long-term care insurance policies to see which medical expenses are covered now or may be covered in the future.